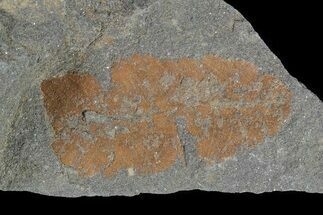 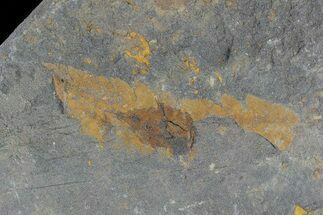 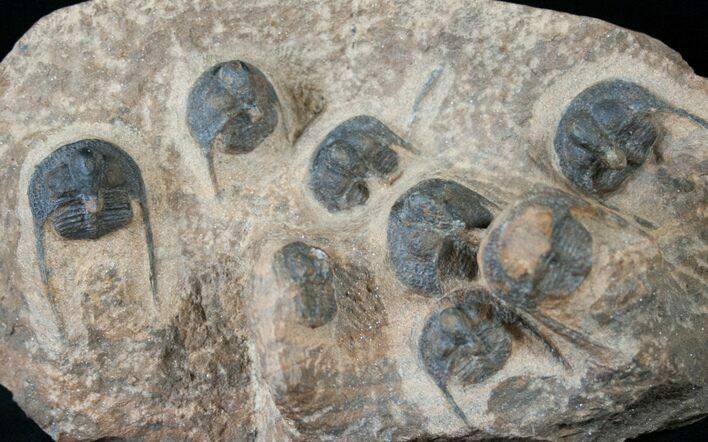 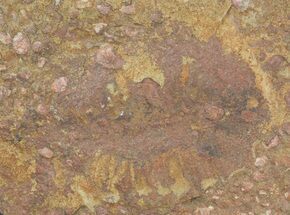 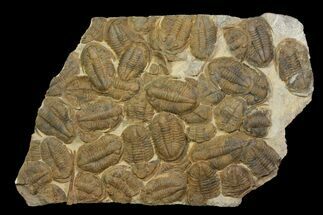 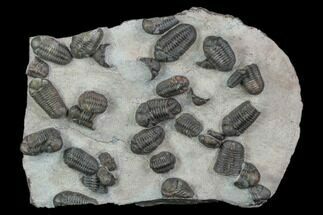 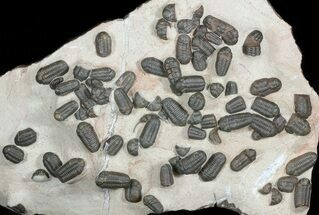 This is a mass mortality plate of large, likely undescribed Onnia trilobites from the Ordovician deposits near Kaid Errami, Morocco. 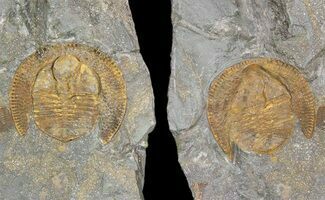 These Onnia are far larger than the Onnia superba from near Blekos. 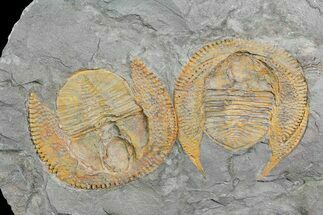 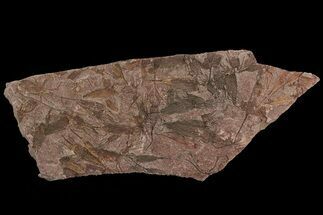 The largest one on the plate is about 1.6" long, and the entire plate containing 8 specimens is 7.5x4.5"
Plate 7.5x4.5", Largest trilobite 1.6"